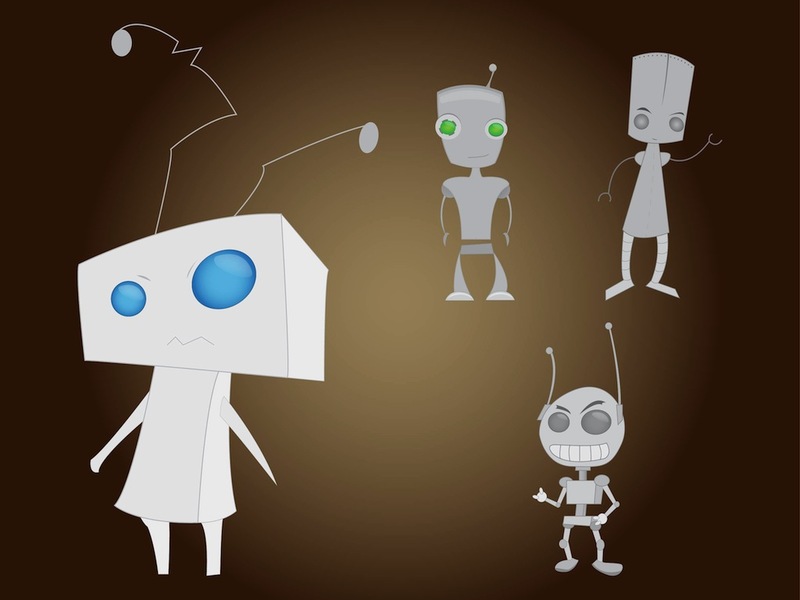 Science-fiction vector image pack with advanced robots with different features and expressions. Sad robot with a bulky head and crooked long antenna, friendly android with big eyes, awkward robot with a very big head weaving with its hands and a smiling mean looking robot. Free vector sci-fi illustrations. Tags: Cartoon, Emotions, Expressions, Future, Machines, Metal, Sci-Fi.